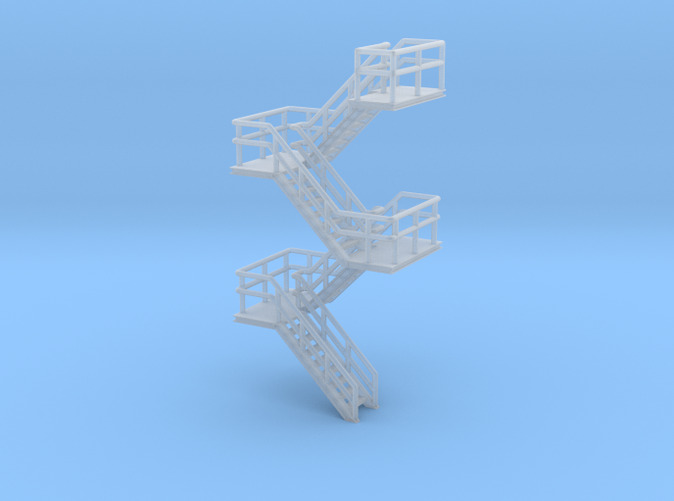 EN: Industrial staircase in N scale. 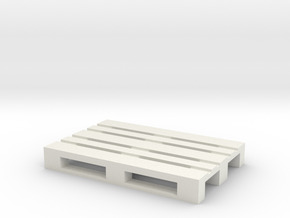 The floor of the platform is 46.4 mm above ground level. The staircase is 16mm wide. The upper platform has railings on all sides, just cut out the piece of railing you don't need. 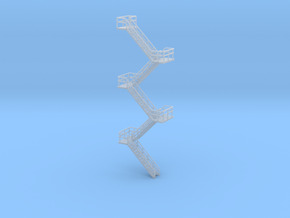 NL: Industriële trap in schaal N (1:160). 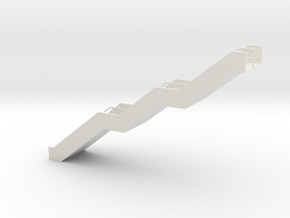 Het bovenste platform is 46,4 mm boven vloerniveau. 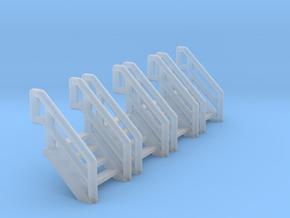 DE: Industrielle Treppe in Spur N. Die Oberseite der Plattform ist 46,4 mm über dem Boden.